Please submit your offer below. *This is a non binding offer, a member of our team will contact you. I have you read and understand the Terms and Conditions? Traditional semi detached villa located within the Ayrshire village of Darvel. Offering an outstanding level of family accommodation whilst retaining many traditional features. The accommodation comprises bay window lounge, dining/family room to rear, good sized fitted kitchen, utility with access out to rear garden completing the accommodation on the ground level is a family bathroom. On the upper level there are three generously sized bedrooms and a further family bathroom . In addition the property has double glazing, gas central heating, front and extensive rear gardens which offer scope to those who may look to extend this well sized property further subject to consents..
Darvel lies on the A71 approximately 9 miles from the East of Kilmarnock local amenities include local nursery and primary schooling with secondary education available at nearby Loudoun Academy via contractors bus. There is also a selection of local shops and daily commuting to most major commercial centres within West Central Scotland is possible via not only the A71 but the M77 motorway link which can be picked up at Fenwick. 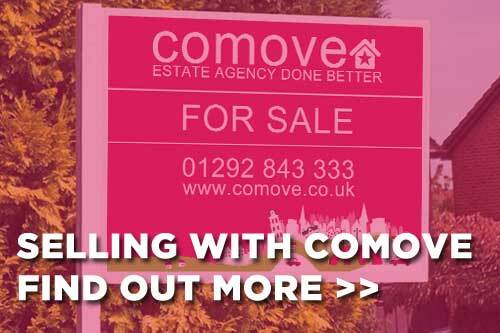 Buyer’s notes: Comove allows a buyer friendly method of purchase. This property is for sale under conditional auction terms allowing the buyer 28 days to achieve conclude missives and a further 28 days thereafter to complete the purchase. Upon acceptance of bid the buyer will be required to pay a non-refundable reservation fee which secures the property and allows it to be removed from marketing channels subject to concluded missives. 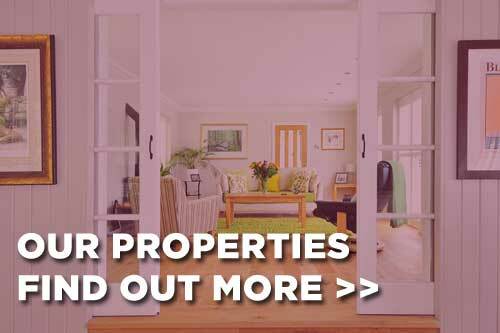 Fill out your details below for your instant online valuation.